BPMs are displayed (when set highest-to-lowest) from 99.99.. down to the lowest BPM, then the highest BPM all the way down to 100.0, instead of entirely from highest-to-lowest. Sorted by BPM, it starts at the 99.9 mark. Sounds like it's looking at the BPM field as a string instead of a (float) number. That's what's happening, I'm getting it too. The 100s come first, then the 70s, 80s, 90s. Should be fixed in trunk now -- thanks for reporting this. 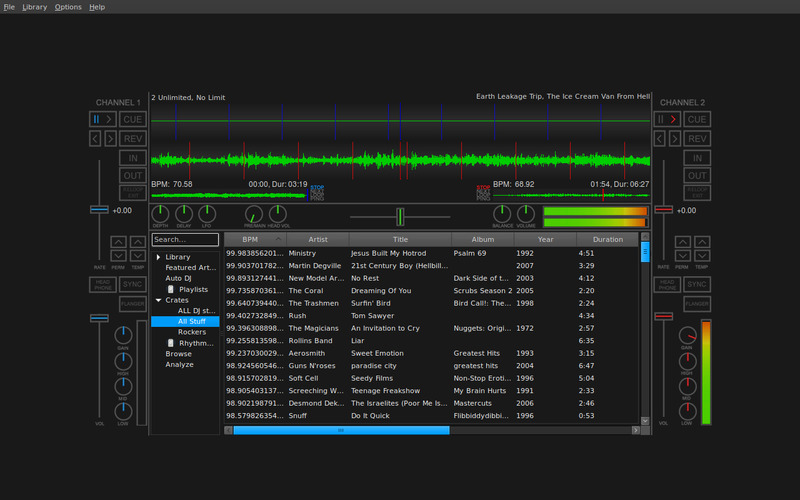 I am using Mixxx 1.8.0~beta1 and this issue still happens. There is something worth commenting, in my system (Windows Vista, locale PT-BR) the BPM column uses comma instead of dot, i.e 72,465 instead of 72.465 and this may mess the column sorting. I have installed the 1.8.0 beta1 over the 1.7.0 and the library was migrated automatically. 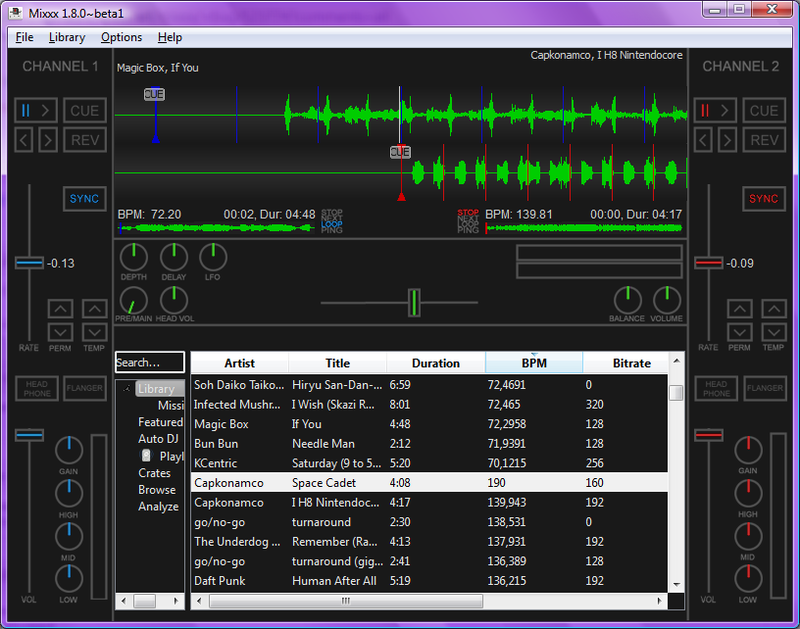 Please take a look at my screenshot: mixxxBPM3.png. If you need more information, please let me know. 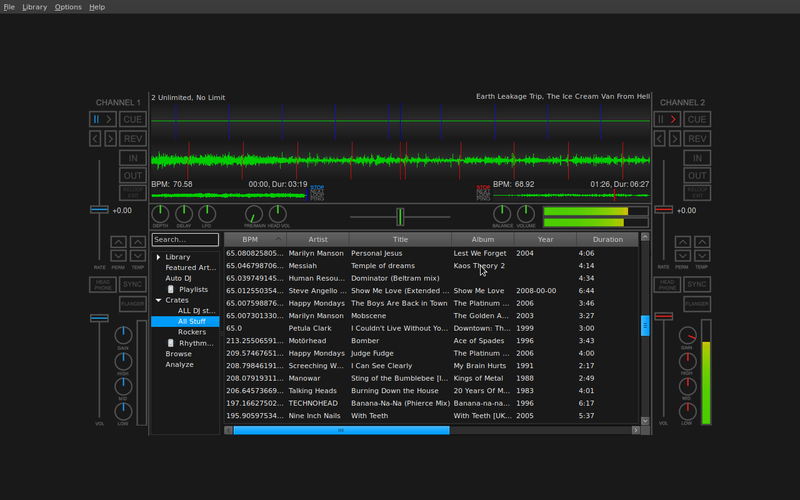 The bug has been fixed in our trunk, which is where we do development on the latest version of Mixxx. Mixxx 1.8.0 beta1 has this issue, but beta2 which is due in the next week will not have the issue.